In a co-authored commentary published in STAT eMagazine today, Penn Medicine Radiation Oncologist and LDI Senior Fellow Justin Bekelman, MD, predicts substantial parts of the cancer care now done in hospitals could be transferred to future systems of cancer care at home. "Imagine having cancer and being told that most of your treatment will happen in your home instead of a high-tech cancer center," write Bekelman and Jefferson University Oncologist Nathan Handley, MD. "That may sound preposterous, but it’s closer to happening than you might think. Just as telemedicine is dramatically changing how primary care is delivered much of cancer treatment can be delivered safely, effectively, and less expensively at home." Bekelman is Director of the newly organized Penn Center for Cancer Care Innovation (PC3I) at the Abramson Cancer Center and one of that new Center's research initiatives is focused on the study of cancer care in the home. The commentary cites the quality of care, cost savings and patient satisfaction benefits of such a system based on similar programs now being sucessfully used around the world for other therapies. "Cancer care at home leverages medical and nursing teams that provide an array of services that includes home visits, intravenous medicine, careful monitoring, and lab testing," the authors say in STAT. "Successful models exist internationally, and the building blocks are already in place in the United States. For example, hospital at home programs, in which hospital-level medical care is provided in a patient’s home, have been fielded for skin infections, pneumonia, and other non-cancer illnesses by Johns Hopkins, Mount Sinai, Brigham Health, and Cedars Sinai." 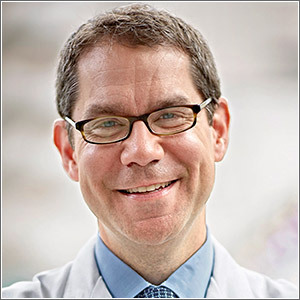 Bekelman is also an Associate Professor in both the Department of Radiation Oncology and the Department of Medical Ethics and Health Policy at the Perelman School of Medicine. He is also a faculty member at Penn's Center for Health Incentives and Behavioral Economics (CHIBE).